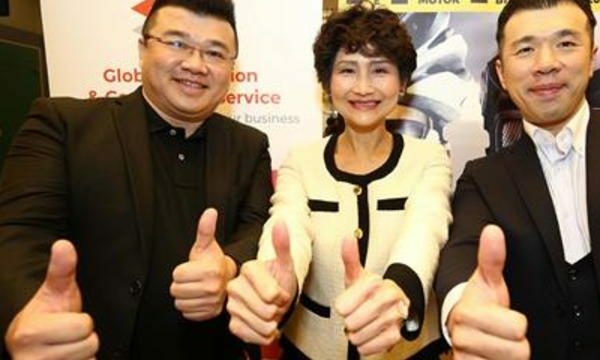 The state and private sectors have inked an agreement to upgrade Thailand’s two-wheels and electric-vehicle industries into becoming Asian hubs, organizing the B2B trade show TWO WHEELS ASIA 2019 on May 23-25, 2019 at the Bangkok International Trade and Exhibition Center. Mrs. Ladda Mongkolchaiwiwat, Managing Director of Global Exhibitions and Convention Services (GECS), the leading exhibition organizer in the CLMVT bloc (Cambodia, Laos, Myanmar, Vietnam, Thailand), disclosed that the two-wheels and electric-vehicle industries in Asia have witnessed burgeoning growth due to city traffic congestion, urban expansion and pollution. This has led to the popularity of two wheels, electric motorcycles, scooters, electric scooters, bicycles and electric bicycles. These modes of transport have enjoyed solid growth, especially on the continent. In 2017, global exports of motorcycles were worth more than US$24.1 billion. Thailand is the world’s 4th biggest exporter of motorcycles, with the export value being over $1.5 billion. China, the world’s No. 1, exported motorcycles worth $6.7 billion, followed by Japan – $2.8 billion – and Germany, $2.2 billion. Looking at major markets, Asia alone accounted for a massive 60% of the world’s motorcycle market. In 2018, global motorcycle production is expected to reach 132.4 million units, surging 4.6% with a value worth more than $1.1 billion. The majority of motorcycle users are in China, India and the CLMVT bloc. Hybrid motorcycles, electric motorcycles and scooters are playing an integral role in driving market growth. Electric scooters, especially, are expected to ride away with more than 85% of Asian market share worth up to $19 billion by the year 2025 – growing at an average rate of 6.9%. The reasons behind this robust growth are consumers’ desire to cut transport costs, reduce maintenance expenses and possess increasing awareness of environmental conservation. Most important is the rising trend of electric scooters, which are being used as the main vehicles in delivering ready-to-eat food in Asia. In Thailand, 15% of all motorcycles produced are exported. Mopeds and low-output motorcycles have seen sales going downhill by 5-6% per year, while big, powerful motorcycles for sports and racing have witnessed continuous growth of 4-5% per year. Thailand’s production of motorcycles for export has transformed from completely built-up (CBU) units to completely knocked-down (CKD) ones. The global motorcycle market in the next five years is estimated to be worth $62 billion and experience an average growth rate of 37%. Electric bicycles are also expected to drive growth of the world’s bicycle market, grabbing a market share of 38%, with value of $25 billion, by 2024. As for Thailand, the kingdom’s bicycle market is expected to see a drop in value to THB5 billion-5.5 billion, with imports reaching 80% of total bicycles in the country. The rest – 20% – is local production for export to European countries. Thai importers of bicycles and producers who have developed their own brands are beginning to look for new distribution channels, focusing on CLMV markets, especially Vietnam, and taking advantage of distribution zones and distribution rights to sell their products. 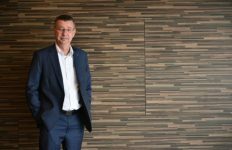 Business owners are grabbing opportunities in marketing two wheels and electric vehicles in CLMVT countries, which have a combined population of more than 240 million, being high-potential markets that can drive the growth of several industries. The bloc has companies, enterprises and business organizations which have built up expertise and experience over a long period. 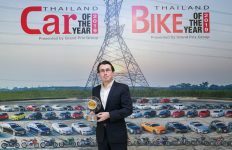 TWO WHEELS ASIA 2019, is organized by Global Exhibitions and Convention Services Co., Ltd. Of Thailand, and Avanza Co., Ltd. of Taiwan in association with The Thailand Walking and Cycling Institute Foundation, the Office of Transport and Traffic Policy and Planning, the State Railway of Thailand, PEA ENCOM International (a subsidiary of the Provincial Electricity Authority), Bicycle United Magazine Asia and Cycling Malaysia Magazine to help upgrade Thai production and export of two wheels and electric vehicles such as motorcycles, electric motorcycles, scooters and electric scooters, bicycles and electric bicycles, as well as accessories, parts, repairs and maintenance services in order to steer Thailand into becoming Asia’s industry hub. The event also promotes the use of two wheels and electric vehicles in the region. Furthermore, to reaffirm confidence in business owners and businesses, a ceremony was held to sign an agreement to upgrade the two-wheeler and electric-vehicle industry of Asia. 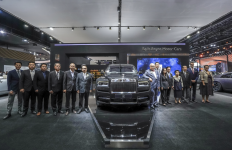 TWO WHEELS ASIA 2019, is expected to attract 150 companies exhibiting their products and services from May 23-25 at the Bangkok International Trade and Exhibition Center. As many as 7,000 visitors from across the globe are also expected to attend. 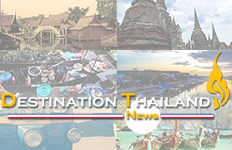 The event will generate more than an estimated THB3 billion in income. In conjunction with this top event will be international seminars organized by The Thailand Walking and Cycling Institute Foundation, which is a member of the European Cycling Federation. The interesting topics include “Sustainable Development Goals & Sustainable Transport in Asia and Thailand”, “I am not a SUPERHERO, But I Can SAVE LIVES”, and “Stop Global Warming”.